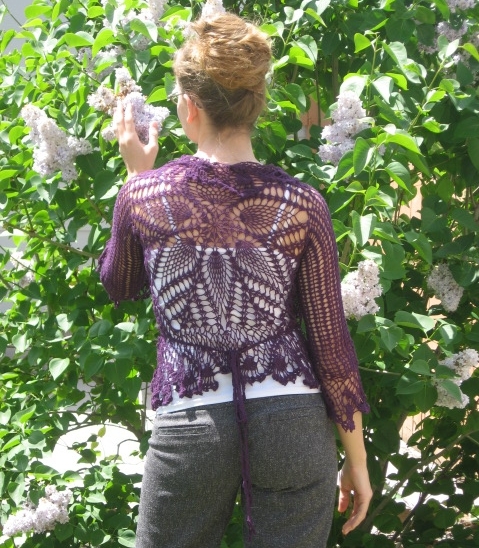 Brittney crocheted this gorgeous Petals Wrap Cardigan, designed by Kristin Omdahl. 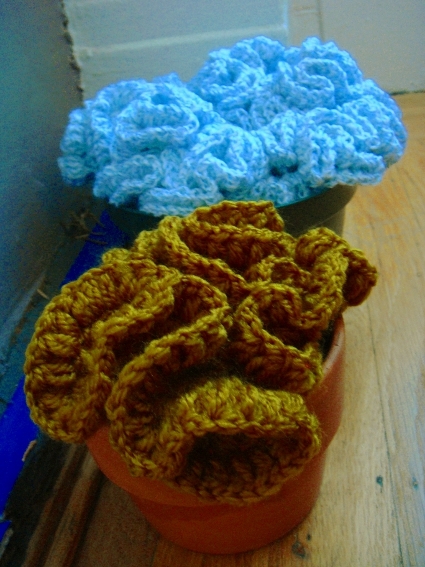 Potted Crochet Flower Bouquets crocheted by Kathryn Vercillo without a pattern; she based the design on the idea of hyperbolic crochet. See more of her work at Crochet Concupiscence, or follow her on Twitter! 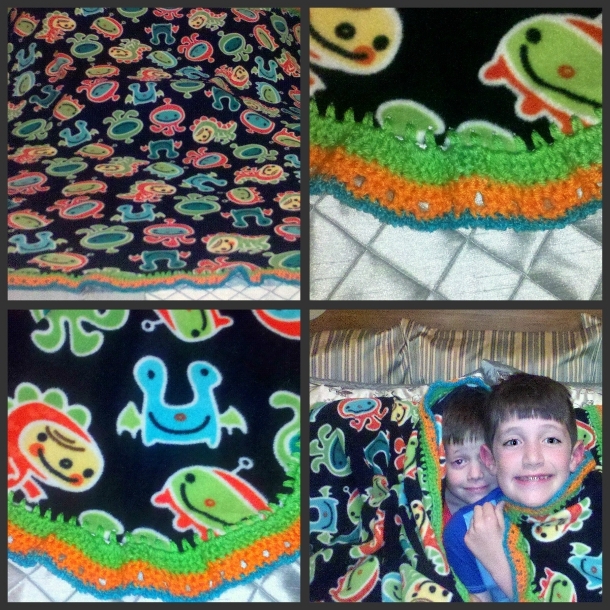 Edged Blanket crocheted by Deanna L. Milsap without a pattern. View more of her work at her blog, Mrs. Dad and Mr. Mom!